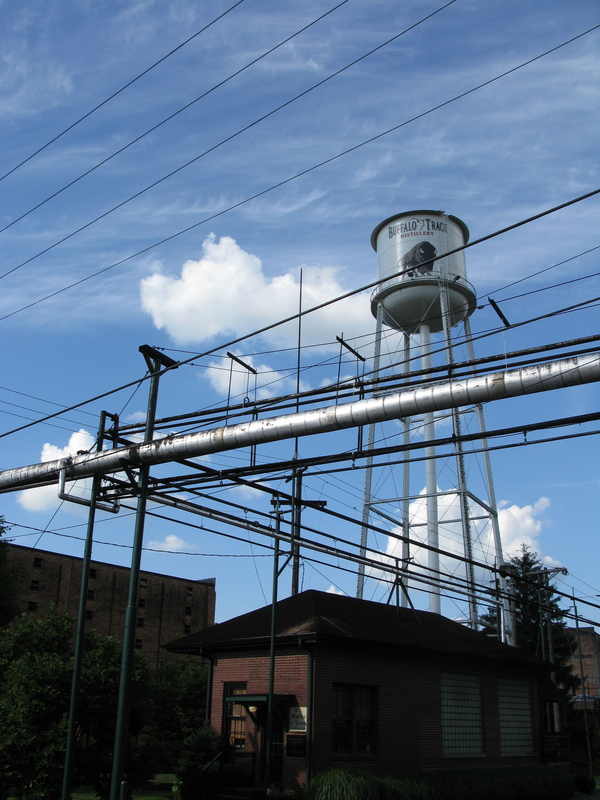 A blog about bourbon and baseball parks! ...and I am a musician who works in web and marketing development here in Detroit, Michigan. I am also a fan of baseball and bourbon. I started this blog to try a different bourbon every week and give my thoughts, as well as talk about the ballparks that I've visited, and will be visiting. Occasionally I will foray into music, sports and other topics as well. I love feedback and dialogue, so speak up, and thank you for reading. There was a moment. More than a moment, actually, maybe a full minute. It may even have been two. I stood in the middle of the Hyatt Regency Chicago ballroom at sometime around 7:00 on a Friday night in March, and I was speechless. Overwhelmed, even. My wife waited patiently for an answer, before she asked again: “what would you like to try next?” I slowly gazed around the room, the dozens of whiskey makers booths, each one holding bottles and bottles of whiskey. Some I had tried many times and liked. Some I had not cared for. Some I had just never gotten around to. But this was still in the midst of the VIP hour, so there were many that I had never seen, tried, and probably never would again. My head cleared, my focus sharpened. My head turned, as I watched one of the most impressively surreal acts of normalcy I could imagine. Julian Van Winkle – pappy of Pappy so to speak – slowly walking by, unapproached and seemingly anonymous, completely absorbed in the consumption of a potsticker. Now I’m sure Mr. Van Winkle goes about unrecognized on most days – at the gas station, at the 7-11, maybe even the restaurant. What makes this scene so weird is that, as he walks by, contemplating the mysteries of quality pan-Asian buffet, 100 people wait in line at a booth bearing his name for a slight, tasting pour of his whiskey. A whiskey most of them have never had, and many won’t again. This is WhiskyFest Chicago 2016. As I mentioned in my last blog, WhiskyFest, put on by Whiskey Advocate magazine, is the big show. I don’t know if Chicago was the first, but it certainly seems that way. I’ve been to plenty of bourbon specific events in Kentucky and Michigan, but when my wife was able to score us tickets as a surprise Christmas gift (and VIP tickets to boot), I knew it would be bigger than anything I or we’d gone to yet. WhiskyFest tickets aren’t cheap – if you get them when they go on sale, they are upward of $300. $400 plus for VIP. This year, it’s my understanding all tickets sold out in the first hour, so price isn’t exactly an issue. And by the time you get them from a reseller like StubHub or EBay – look out. So the expectations are high, and understandably so. In the months and weeks leading up to the event – March 18th this year – the information begins to trickle out: what brands to expect, what new products will be unveiled, what speakers will be there. But it’s that first one, the whiskey list, that is most anticipated. I found myself visiting every day, looking to see what would be in the offering. WhiskyFest is also not limited like the bourbon events I have frequented. Scotch – no favorite of mine – is extremely well represented. Ryes, Irish, Canadian and Japanese whiskey is there too. There are a few whiskey barrel aged beers. Even a rum or two snuck in. In all, hundreds of things to try. Not all in one night, however. We showed up for VIP registration a half hour early, and found a line of dozens already ahead of us. When registration did start, we were each given a canvas bag with water, swag (pens, coasters), a Glencairn glass and a lanyard. There was a meat and cheese hor d’oeuvres table to snack on. But the snackers were few. Instead, people lined up at the doors. The advantage of a VIP ticket was two-fold: you get to enter the tasting ballroom an hour early, and many brands have special limited pours for the VIP group. WhistlePig, for example, was offering VIPs a taste of their yet unreleased 15 year old rye. Once the doors flew open the race was on. There was a feeling of the Oklahoma land rush as people made bee lines for any one of the hundred booths showcasing their most sought after tastes. Buffalo Trace filled up quick, with long lines looking for a taste of their VIP offerings: Pappy Van Winkle 23 year, 1792 Port Finish and George T Stagg. We stood back and pontificated for a moment before deciding on a Hibiki 17 year Japanese Whiskey. Over the course of the next 4 hours, my wife and I wandered around the massive ballroom. First, we tried VIP whisky so, some of which I’ve noted below. When I had my moment of being overwhelmed half an hour in, it was at the realization that we had already sampled 5 impossible to find drinks in 30 minutes. The room is a large ballroom, where each bourbon maker has a booth – not unusual for a trade show, which is kind of what WhiskeyFest is. Each booth, ranging from as simple as a folding table and sign to large, elaborate setups, with full bars and ornate woodwork, has a few people pouring their wares for the line of Glencairn glass holders. There are a mixture of reps at each booth, from attractive models who look like they are on loan from an auto show, to more knowledgeable brand reps, to owners like Van Winkle and Master Distillers like Wild Turkey’s Jimmy Russell. The connoisseurs discuss the brands and selections with the reps as they get their pours, and hopefully get some knowledge about what they are drinking. Each booth has water available – keeping hydrated and rinsing out glasses is definitely encouraged here – as well as a bucket to catch the pour outs. Like a wine tasting, the concept is that a whiskey is tasted in a small one ounce quantity, then spit out into the bucket. This rarely happens, however. As the night went on, I saw almost no-one (including myself) waste the drink…although a few of the drinkers certainly got wasted. Along with hydration, WhiskyFest goers are also encouraged to eat and eat well. There are four main walking buffet areas, with two sets of diverse food, from vegetables and au gratin potatoes to sushi and roast beef. It’s a nice spread, and the easy access allows for nibbling throughout the night. At 7:30, the general admission doors opened, and the crowd number jumped exponentially. Very few of the booths had lines over 5 minutes (with the exception of the Van Winkles), which was nice. I had tried 9 whiskeys at that point, and by night’s end at 9:30, was at 26. I won’t review the whiskeys here – for those I was particularly fond, I added a few notes below, and will follow up with a more detailed review later. I also left the bourbon and rye comfort zone and tried a few others, to mixed results. I had a fantastic time at WhiskyFest. People were mostly very nice. My wife and I talked with two different couples – one that had been married for many years, and one that was still in their relationship infancy, but both were having a great time. We met a man from Michigan enjoying his third trip there, with whom we commiserated about local liquor stores. And there were a couple of women who had won the tickets, and were having a great time introducing themselves to whiskey we spent some time talking and walking with. For the whiskey nut, this is almost a bucket list item. Even for the casual drinker, I would think the variety alone would make it a worthwhile trip. There are a number of other things going on here as well – speakers from Whiskey makers, and tasting flights. THis year, they seemed to be Scotch-centric, so I stuck to the main room myself. WhistlePig 15 Year and 12 Year Old World – If you like the acclaimed 10 year rye, this should be for you. Personally, i respect the 10 year, but it’s a little gruff for me, and the 15 year only heightens that. Much more pleasing to my palate is the Old World 12 Year, finished in different wine barrels, including Madera. The finishing puts the slightest sweetness on the rye, adding whole new complexities beyond the spiciness. New Holland Zeppelin Bend and Zeppelin Bend Reserve – I have long been a fan of the Zeppelin Bend whisky, even if it is a little young, because of it’s remarkable smoothness. The new, longer aged Zeppelin Bend was even smoother, and when it hits the market later this summer, I look forward to grabbing a bottle. High West Yippee Ki-Yay Rye was unique and befitting the High West brand – rye whiskey finished in wine barrels (catching a trend?) that takes that respected High West rye and adds a sweetness that wins in nose and finish. Back in November, I did the part one of a post about the hunt for “Unobtanium” – Pappy Van Winkle. Coming off of another fruitless season of hunting for Pappy (and several other ‘collector’ bourbons), I wanted to share some of my experiences. Judging from the readership stats, I seem to have stumbled upon something, because that post is the third most popular one I’ve put up this year. I chose to hold off on the second part until now because I had a few irons in the fire, and wanted to be able to report fully and honestly if my alternate plans to procure some of the mystical elixir worked. I can now report they did not. 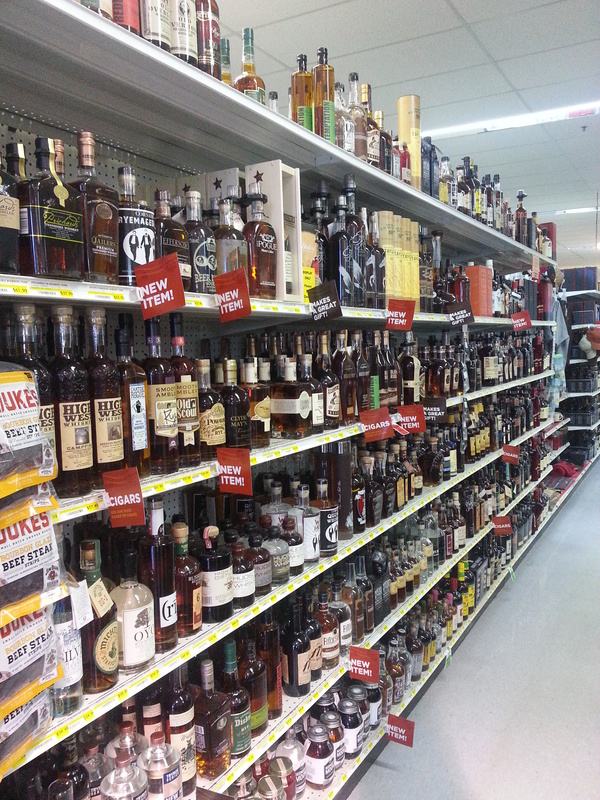 Not that this bourbon hunting season has been fruitless. I have been able to find the Parker’s Heritage Wheated, the Elijah Craig Barrel Proof, the Woodford Reserve Sonoma, the Maker’s Mark Barrel Proof and the Black Maple Hill 6 year, all to try and report on soon – good or bad. Nor was Pappy the only thing I struck out on. Like most, I was wholly unable to get my mitts on any of the Buffalo Trace Antique Collection, the 2014 Old Forester Birthday Release, Angel’s Envy Cask Strength or quite a few other sought after bourbons. But it is Pappy, above and beyond all else, that seems to captivate and frustrate the masses (and often, myself), most of all. So today I write about some other methods you can try to get the impossible: Secondary markets and Liquor Control states. Maybe your luck will be better than mine. I certainly have my doubts. I want to be sure to state one other fact as well: media sources love to report how Pappy Van Winkle is ‘impossible’ to find, how it’s scarcity is the great equalizer, where billionaire CEOs and bourbon-loving bus drivers are equally perplexed. That is not the truth. If you want to but Pappy, there are plenty of places to find it. As I post this, there are 12 listings on the Detroit Craigslist page for Pappy, the highest being $1,700 for a bottle of 23 year (the lowest being $250 for a bottle of 12 Year). The concept that no-one can get it is an absolute myth. The truth is very few can afford to get it except for retail price at an honest store. Currently, my collection has four bottles of Van Winkle products. I have a bottle of the 15 Year, that my sister kindly gave me as a birthday gift in 2011, before insanity truly took hold. Out of respect for the gift, I’ve never asked details, but it’s my understanding she bought it on the secondary market from another state (Illinois, I believe), for a high but not unreasonable price. I have a bottle of 10 Year that I bought through the Pennsylvania Liquor Control Board website, a bottle of 12 Year I bought from a local Metro Detroit store (by winning the chance in a raffle), and a bottle of 20 Year that I bought from a seller on Craigslist, along with some other choice selections, when I was in Kentucky early this year. As I detailed in my earlier post, I struck out with my local vendors. I frequent about six different stores around Michigan. Two didn’t receive any Pappy at all this year. Two more put it up for sale at astronomical prices ($1,500 for a bottle of 23 Year, for example, a bottle that sells for $250 retail). And the last two sold it to people for the prices they offered – still exceeding $1,000 per bottle. It’s an unfortunate game, but one detailed quite nicely in an article posted earlier this month on The Daily Beast. “Pappy has become a prime example of a certain kind of product that economists called a “Veblen good.” Named for the sociologist of the “leisure class,” Thorstein Veblen, these are luxury items that defy the normal workings of the Law of Demand. Normally, when the price of a product climbs, the demand slips. With Veblen goods, the demand does the opposite, growing as the price goes up. In part this is because the person buying the Veblen good gets what economist Harvey Leibenstein called “conspicuous consumption utility.” And Pappyphiles have been nothing if not conspicuous. Now, I’m not quite ready to go full backlash yet. I still think that in my experience, Pappy Van Winkle is one of the best bourbons I’ve had. But I would be dishonest if I did not admit that so much of the allure, even to me, is the scarcity of it all. That’s why I found myself standing on a freezing downtown Louisville street corner last year, buying a bottle of Pappy 20 from a complete stranger from a Craigslist post. And there are plenty of people on both Craigslist and boozehound websites, happy to sell you a bottle for your first-born child and a few thousand dollars. Like I stated earlier, it’s all about how much you are willing to pay. Yes, it is a transaction that may well be illegal in your state. Yes, it may lead you to make an exchange of paper bags in the darkest corner of a parking garage. And yes, it will almost definitely mean you handing over an obscene amount of money for a bottle that will potentially then be too invested in to actually open. But it can be done. But buyer beware – like any other exchange of the sort, it is at the least potentially illegal, and at most, dangerous. There are a good number of Pappy Van Winkle “fan” groups on Facebook. While a good number of the participants will undoubtedly be clueless DBs looking for a venue to brag, there are good, decent bourbon fans, and often, they will be looking to sell (or at least trade). If you can stand posts and posts of people showing their “collection,” it might be a wise place to put your effort. If money is no object, there are some websites that offer bottles as well. They often make the Craigslist prices seem reasonable – a quick look today showed me bottles of 23 Year going for as much as $3,000. I won’t post any of their names here, because I don’t want to encourage such scalping, but know that they are out there. I’m going to quickly mention this because its fresh on my mind. Most states have privatized liquor distribution – the state has laws, but the importing and distribution is left to private companies/persons. A few, however, have state run Liquor Control Boards. In these states, it is the state government itself that orders, prices and distributes liquor (and often, beer and wine). Pennsylvania is one of these states, and my wife happens to hail from there. She has quite a few family members there as well, so we visit several times a year. I have been able to find some products in Pennsylvania unavailable in Michigan. More importantly, when Pennsylvania gets a particularly popular (and limited) product in, they keep it as only purchasable online. This works for me because I can order something, and have it delivered to my mother-in-law’s house, where she will hold it until we next meet. This has worked for me a few times and been a nice avenue. When it comes to PVW, and to a lesser degree, BTAC, however, it has been an epic fail. Last year, the email went out that PVW 15 Year was available. I logged in, bought a bottle, and then found out 3 days later their site had malfunctioned and I would actually NOT be getting any. I was upset, but I work in technology, I know that once in a while bad things can happen. This year, the PLCB doubled down. When the BTAC collection went up for sale, their email blast system mysteriously stopped working, so only those informed ahead of time or following them on Twitter were notified. Last week’s PVW release went even worse. After weeks and weeks of teasing it, and knowing that users were circling the site like sharks in the water, they released the PVW last Thursday…and watched the site crash. And crash again. The next 30 minutes was a comedy of errors, where the site and app couldn’t stay online for more than seconds at a time. Within 30 seconds of the site being back up, I had a cart with three bottles of the 2014 VW release in it. But when I went to check out – crashed again. Meanwhile, the PLCB was posting on Twitter how products were still available, only increasing traffic – nevermind that by the time they were posting, the system was telling everyone it was sold out. For a government agency to run something as simple as an e-commerce solution and decent bandwidth in 2014 is disappointing. Immediately, the Social Media lanes were filled with people complaining, and rightfully so. In truth, I have seen almost no-one posting about being successful, which makes the lack of transparency the PLCB operates with a little more suspect, and begs the question – who got the 1,000+ bottles? There is talk of them changing the way they handle PVW sales. I certainly hope they do. My advice? If you have that much money to spend on a bottle and you don’t mind the price, go for it. I’ve been lucky enough to drink all 6 major VW releases, and haven’t had a bad one yet (OK, I admit, I find the 23 year to be way too oaky and woody for me). If you just want a great pour, there are plenty of other ones out there worth your consideration. I replied that I was, although my knowledge was limited to Beam, Maker’s Mark and the occasional Woodford Reserve. “Then I’ve got one for you to try!” he said, and began to tell me about a bourbon I could find at a store local to me, so wonderful it would make me a full-on bourbon aficionado. That it tasted of caramel and vanilla, and was so smooth it could almost be an after-dinner drink. The conversation ended soon thereafter, and I forgot about the recommendation. I was relatively broke at the time, and if I wanted something that smooth, Gentleman Jack would have to suffice. That bourbon was Pappy Van Winkle. Two years later, after we had two recording studios close beneath us, John and I met again to mix the neverending album, now in year two. As we drank Jack Daniels, he asked me if I ever went to the store and bought the Pappy he recommended. I told him I had not, but that it would most assuredly make my list now. And it did. This began my search for the ever-elusive, now legendarily hard-to-find Pappy Van Winkle. In the three and a half-years since, the hunt for “Pappy” has led me to meet wonderful people, sample amazing bourbons and truly become an educated bourbon fan. It also has brought me anger, sadness, frustration and driven me to the brink of madness. When John first suggested I try it, PVW was another respected, higher-end bourbon readily available at finer stores, even here in Metro Detroit. By the time I actually went looking, it’s popularity was on the rise. Stores were out of it, but thought they’d get more in that spring or fall. The Rip Van Winkle website listed stores that carried it…and none of them were mad if you called! Sure, Anthony Bourdain and the tv show Justified had talked about it, but there was still…a hope. Since then I’ve learned there are other bourbons just as good, sometimes better. That, while Pappy and the Van Winkle line are guaranteed to be great, the difference between a bottle of Pappy 15 and Weller or Blantons or Elmer T Lee is hardly worth the days spent searching or the obscene amounts of money the bottle costs – if you find it. Yet, I continue to look, because I can’t seem to help myself. So over the next few posts, I’m gonna talk a bit about the hunt for Pappy. Not the actual product itself, but the hunt, because at this point, Pappy is more of a myth than reality for most people. Prescribed Method: Make friends with your local liquor store proprietor, so that you are the first one he/she calls when the Pappy comes in. This makes logical sense – you find a store that has the selection you like with an owner and workers you enjoy chatting with, and give them your business. When that time rolls around, of course they tip you off to come by and purchase a bottle of this rarest of rewards. How it actually works: You go to as many stores as possible, eliminating the ones that you know will never get Pappy Van Winkle. This isn’t easy – a store can have an excellent supply of hooch, but never get the PVW because they didn’t buy a single barrel of Buffalo Trace this year, or didn’t purchase the 500 bottles of Mr. Pickles Magic Elixir Vodka, made from dry-rot potatoes that caused blindness in focus group participants, that the distributor was trying to unload. You find a few that you know get the good stuff, and then realize half of them are staffed by miserable hipster douchebags who ride to work on unicycles so they can carefully groom their handlebar moustaches in the open. DON’T try to befriend them – you may think you have a connection, but the truth is that they will view Pappy as “mainstream,” and the first time you let them know you covet it, you will lose their shallow, fickle ‘cred,’ and they will feel no remorse in handing the bottles they get over to a bottle flipper just to spite you. Narrowed down, you might find a great store or two. This is where hearts really get broken. The truth is, unless you are buying multiple bottles a week, you probably aren’t one of their most valuable customers. I once stood at the counter of a local store I frequent talking with the owner and his brother for an hour about new ryes coming out, and it wasn’t until I got back to my car that I realized that I had watched almost $7,000 in business go on while I stood there. People buying thousand dollar scotches…one gentleman picking up 4 kegs for an event…my $75 bottle was insignificant. Not surprisingly, after a year of frequenting that store, when the Pappy came in, I ‘just happened’ to miss it. A different store got in 3 bottles of Pappy 23 year and did offer them to me…for $1,500 a bottle. This, while I was checking out with $400 of bourbon in my hand. One local store I love and frequent explained it to me like this: “If someone came in and offered you a ton of money for your car – more than it possibly warranted – wouldn’t you have to sell it to them?” He explained this as an analogy for why he was quietly moving his Pappy 23 for $1,000 to someone who inquired. In four years, I have been able to purchase exactly one bottle from a store, and it was due to a raffle system in which hundreds entered for a chance to buy one of three bottles. I’m not saying befriending your local shopkeeper isn’t a good idea – it’s a good idea regardless of Pappy. They can order special products, tell you when new stuff is coming out, and be a wealth of knowledge. But to those spouting platitudes about how Pappy is easy to get if you make friends with the store, I laugh. Summer has finally come to Michigan, with heat, humidity and thunderstorms. 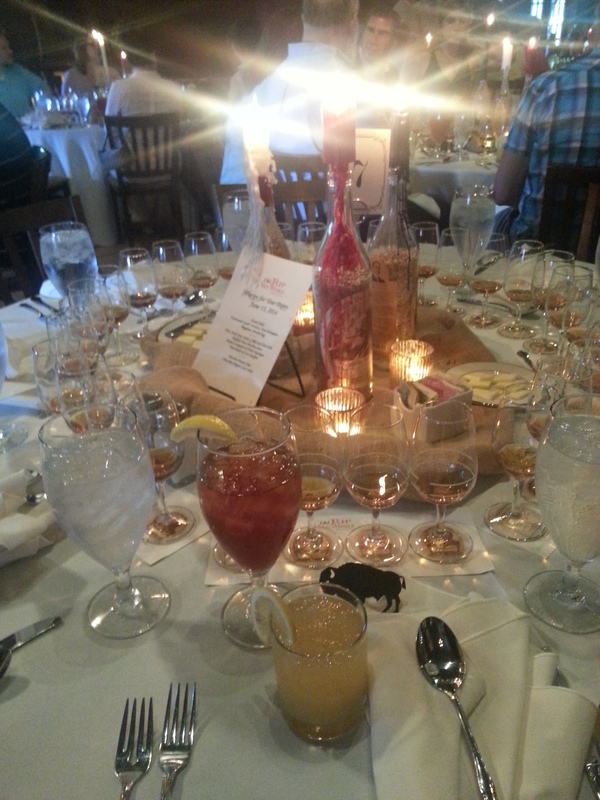 What better time to continue with the blog about the Pappy For Your Pappy dinner and Kentucky trip? As I mentioned in my earlier blog, I was feeling pretty ill the first day of our Kentucky trip, and by the time we left Four Roses, I was becoming very concerned: would this stomach bug keep me from the Pappy tasting and dinner at Buffalo Trace? I didn’t want to think about it, but the truth was, it was a real possibility. My wife and I discussed, and decided to keep on moving, make a trip to a few of Kentucky’s finer liquor stores in search of new hooch, then head to Wild Turkey to take in the sights and tastes. Unfortunately, it was not meant to be. We had just missed one tour, and would have to wait an hour for the next one. In my state, that did not seem like a great idea – certainly not with a delicious dinner and some Pappy Van Winkle waiting for me! 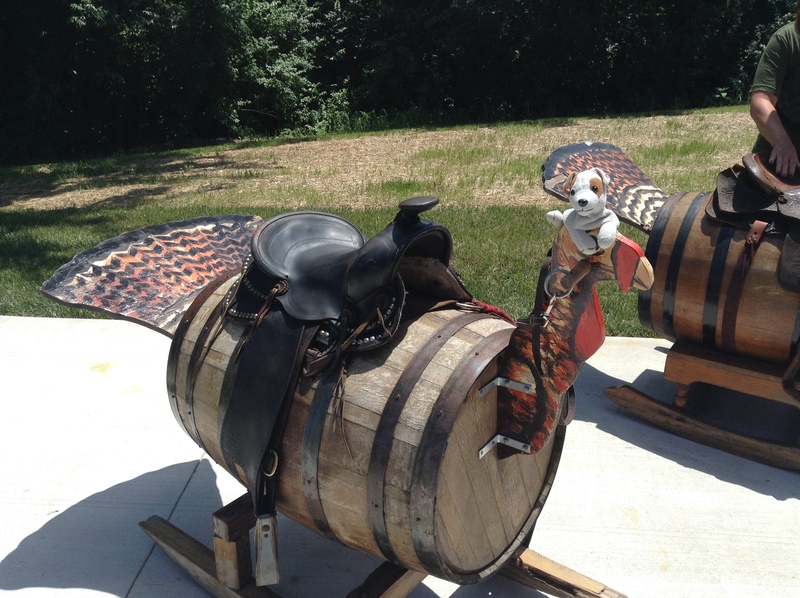 Luckily, the Wild Turkey visitor center has a nice set of displays dedicated to the history of the drink, as well as the legacy of Master Distillers Jimmy and Eddie Russell. We wandered around the nice grounds and looked at the displays, until finally it was time to try to get a little rest and hope to feel better for the big event. And in large part – it worked! I may have still been a little queasy, but when the time came to head to Buffalo Trace Distillery and have a dinner and tasting with the Van Winkles, I seemed to shake it off. I’ve been to the beautiful Buffalo Trace distillery before, so we decided to skip the tour this time, for restful purposes. Now, one thing I’d really like to mention is how nice, personable and kindly every person we have ever met affiliated with Buffalo Trace has been. This year was no exception. As I mentioned before, the tickets for this year’s Pappy dinner were a popular item, and I’m sure they have more than had their hands full with it. But, just as last year, every person was sweet and wonderful, even remembering the names of my family members that had purchased us the tickets before check-in. We made our way over to the Elmer T. Lee Clubhouse to find our seat, and have a cocktail before dinner. Just as last year, the room was adorned beautifully, with candles in Pappy Van Winkle bottles on every table, the tasting glasses out and poured, and tables numbered. One of the great parts of a dinner like this is sitting and talking with other bourbon enthusiasts, and we certainly had a great time with that. Our table had wonderfully nice and interesting people, and we were pleased to find out we were sitting with Tim Beckelhimer and Larry Parece, who run The Bourbon Guys blog (http://www.thebourbonguys.com/). Over a lovely dinner of salad, asparagus and steak, we talked about what brought all of us to bourbon, what is available where we live (a father and daughter at the table came in from Louisiana and North Carolina, respectively), and our fondness for that rarest of drinks, Pappy Van Winkle. 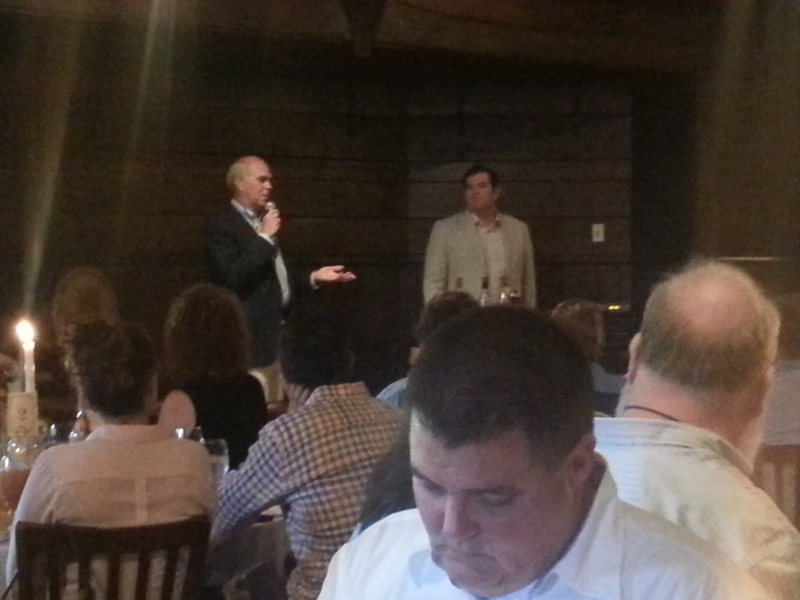 Julian and Preston Van Winkle took the microphone, and led us through the tasting of each of this years tasting selections: the 12 year Family Reserve and the 15, 20 and 23 year bourbons. As always, they were amazing…with one exception. But the other four were, of course, fantastic. Even the 23 was a little smoother than when I had last tasted it. Then they open up the floor for questions. It was very similar to last year (Any tips to finding Pappy? How does my state get more? ), with a few new ones. One person asked the difference between Weller and Van Winkle, which both use an identical recipe. Julian explained that it was a matter of selection (all Van Winkles are sampled and chosen by the father and son team, and are stored uniquely in the middle of the barrelhouse), where as Weller takes the rest, and then blends their final product. There was talk about the theft (no one was ever arrested, and Julian suggested that no one would be, after police interest ironically dried up post-election)and the history of Van Winkle, Stitzel-Weller. 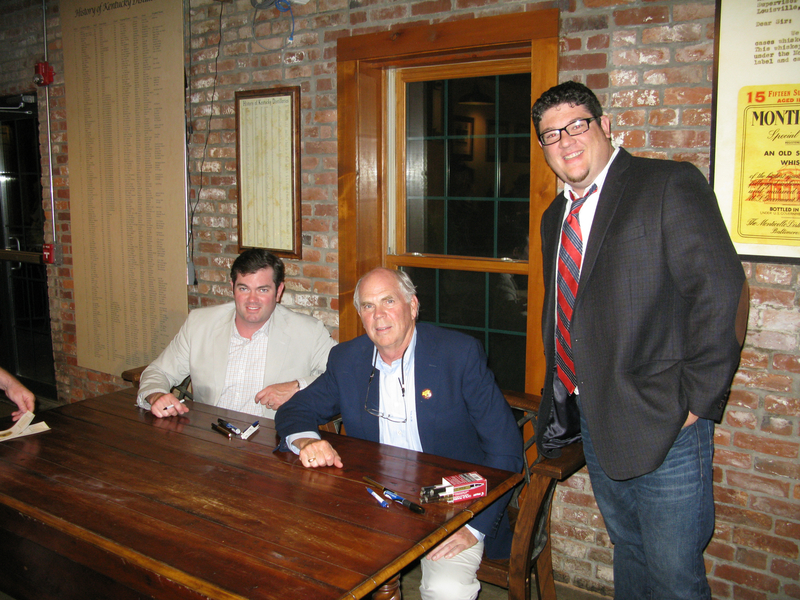 After the Q and A, the Van Winkles retreated back to the Buffalo Trace Visitor Center, where they were on hand to sign items, and answer questions. I said hello, and then we headed for the hotel. We had another big day ahead of us. …and now for the review! Hopefully everyone had a very Merry Christmas – I certainly did. Along with a good number of Bourbons and Whiskeys I will be reviewing here very soon, I received a spectacular surprise from my wife: we will be attending the second annual Bourbon Classic in Louisville, Kentucky at the end of January! It is an awesome event, full of tastings, seminars, speakers, meet and greets and some inspired bourbon-themed and paired dishes by renowned chefs. I could not be more excited, and am already looking forward to the sights and sounds (as well as the tastes!) and posting all about them here. 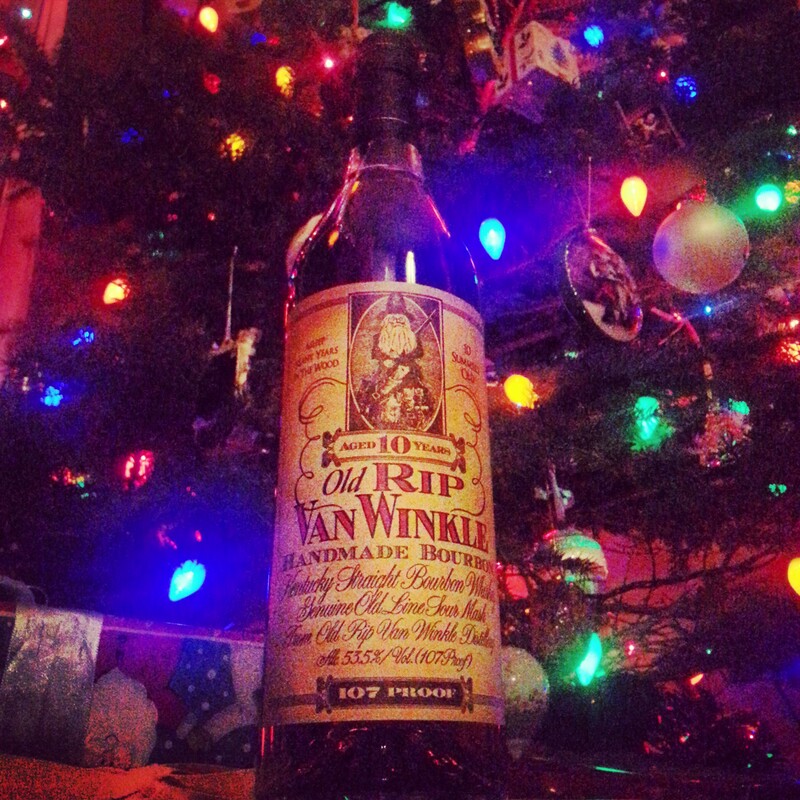 For Christmas Eve, before going to visit the family, we cracked open a bottle of the Old Rip Van Winkle 10 Year. I was able to procure two bottles of the Van Winkle family this year, and will be reviewing the other soon enough. It was a delectable way to start a wondrous holiday indeed. Now, while I pride myself on giving the ‘everyman’ review of some under-reviewed bourbons, I certainly have to admit that the ORVW 10, or any other Van Winkle, is not suffering from a lack of exposure or web-content about the product. More words have been typed (or spoken, sometimes in hushed tones) about “Pappy” this year than all other bourbons combined, I would bet. But that doesn’t mean I just turn a blind eye to a bottle I obviously respect enough to make it my holiday Bourbon-du-jour! The bottle is one of my favorites from look alone. I like the script, the picture, and the old-timeyness of it. But one does not go to the ends of the earth…or at least the ends of the midwest…for bottle alone! Nose: On first take, the rip of 107 proof hits strong. To fully get the nose, I let it sit in the glass for a few minutes, then lifted again. Sweetness filled my nostrils – Vanilla and toffee, and the rich smell of maple syrup. There is also a fruitiness to it, like a mulled-cider of fruit and rum. It certainly got me salivating. The taste was very sweet too. The taste of molasses and honey mixes with the aforementioned fruit to create a smooth drink. Caramel pops up in between. The oak presents itself at the back end, not overwhelming, but ducking in among the other notes. The finish was not what I expected – rather than the burn, it stayed smooth and short. Wheat guarantees a lack of harshness. I’ve read other reviews since that refer to touches of cinnamon and spices, but I have to admit, I did not get that at all. Overall, ORVW 10 is no joke. It’s a soft, smooth entry in the Van Winkle line. While some would elevate it because of the honor of its name, and others punish it for the popularity of the same, I fall right in the middle. Old Rip Van Winkle 10 Year is a good pour. If you can get it, drink away! Back in the saddle after a pretty miserable week – I had the misfortune of breaking a tooth on my way to a gig in upstate Michigan last week, and by last weekend, I had a fever, an inability to open my mouth more than an inch and worst of all, no appetite for food or even bourbon. So I skipped my Bourbon of the Week last week, lest I deliver a less-than review. Also, because consciousness was escaping me at large. A root canal, some hefty antibiotics and the TLC of my wonderful wife and I’m almost back to full strength. And of course, for all the weeks for me to power down, it had to be Pappy Van Winkle release week. I will post later this week with my thoughts about the great Pappy search, the craziness that is ‘collectors bourbon’ right now (and how disheartening it can be for a true bourbon enthusiast) and how vultures are despicably ruining a great thing, but for now let’s just say that it looks like the PVW release of 2013 has left me high and dry. So for my return, I go to a time tested and trusted friend. My Bourbon of the Week is Old Weller Antique 107 Proof. One of the many things I enjoy about bourbon is the amount of variables can influence taste. Aging, where the barrels are stored, the char, the oaks, the blend, the sour mash recipe – so many possible variations. Old Weller Antique 107 adheres to one of the standards that makes the Van Winkle’s so highly touted: it uses wheat instead of rye, and uses the same mash bill. This is why some have referred to the Old Weller as ‘poor man’s pappy.’ And there are certainly some similar qualities there. 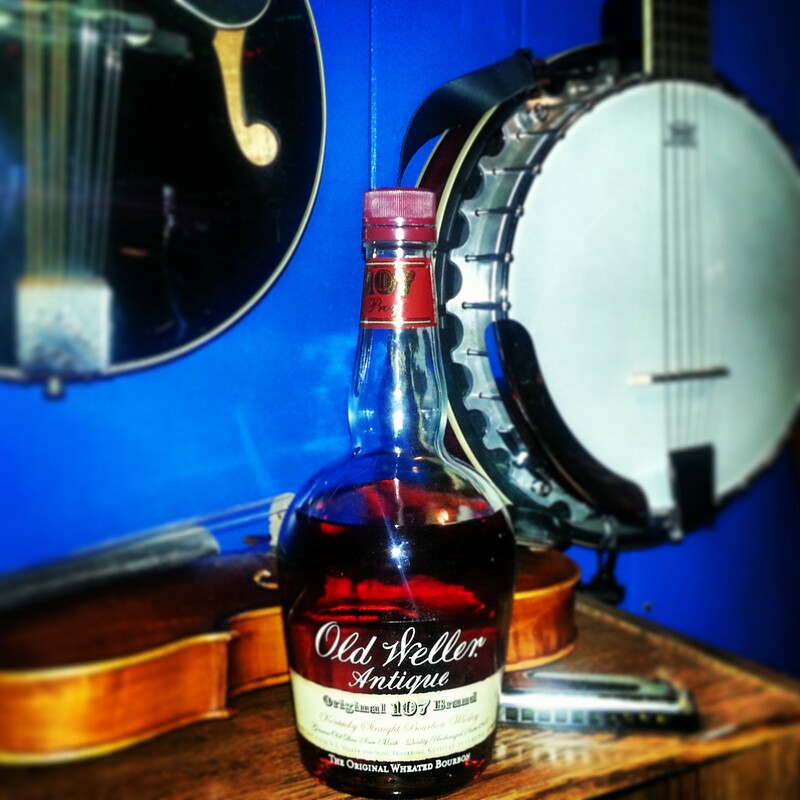 My take: The Old Weller Antique 107 is a fine bourbon, with a fantastic price point. The nose is lovely, even from a distance, with thick notes of caramel, as well as some light apple, citrus, vanilla and even a bit of warm toffee. The taste is thick and leans a bit toward the creamy, with a soft palate. Vanilla, caramel comes with the good kick of that 107 proof. You taste a bit of the earthiness that often comes with wheat. There’s a soft spiciness in the back, but not overwhelming. With a chip of ice, it opens up a little bit more and has a touch more zest. The finish has a slight burn, but really not what you might expect. It’s a medium-long finish, and quite satisfying. Overall, a solid bourbon indeed!